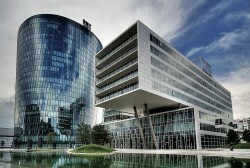 The Austrian oil and gas group will publish the results for the first nine months tomorrow. The Russian gas pipeline South Stream will not run across Croatia. Initially, Croatia was viewed as transit country. The Russian energy group Gazprom has negotiated the last conditions of the contract with Serbia and Hungary. Due to recovery of production in Yemen, OMV´s oil output was up substantially. “A further important move to establish Norway as core country in OMV’s Exploration and Production portfolio”: The Austrian oil group acquires a 20% stake in the Edvard Grieg oil field development from RWE. 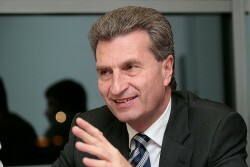 The EU-Commissioner of Energy Günther Oettinger is optimistic that Nabucco will be successful. According to Austria´s Minister of Economics Reinhold Mitterlehner, the prospects of success are “50+”. OMV and Latif joint venture partners sign lease deed for the development of Latif gas field in the province of Sindh, Pakistan. Latif field production will contribute around 6,000 boe/d of production to OMV in 2014. The Austrian oil and gas company intends to invest up to $ 7.0bn in the Turkish-Azeri project. The Hungarian oil group plans to make investments of € 1.1bn in the next three years. Bulgaria wants to reduce its dependence on Russian energy. The consortium has paid € 48m to Bulgaria. OMV raises € 1.5bn in long-dated Eurobonds and announces tender offers for its 2014 Eurobond as well as its 2014 and 2016 Schuldschein loan notes to further extend its debt maturity profile. The Austrian oil and gas company announced that there will be no shale gas production in Austria. 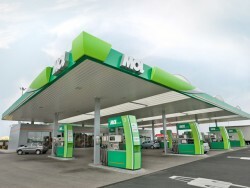 Austrian OMV sells its petrol station business in Croatia and Bosnia. The Croatian subsidiary of Hungarian MOL has submitted a binding offer. Bulgaria wants to reduce its dependence on Russian energy. Together with the French Total Group and the Spanish Repsol Group, Austrian OMV begins test gas drillings in the Bulgarian Black Sea. Instead of Hungary, the pipeline project South Stream may pass through Croatia. Gazprom currently negotiates with the Croatian operator Plinacro. The Austrian oil and gas company intends to exploit natural gas in proximity to Europe. The Black Sea and the North Sea are the strategically most important areas. In the second quarter, clean CCS EBIT was at € 865 mn, up 82% vs. Q2/11. Sales grew by 25%. Gearing ratio down to 31% vs. 34% in Q2/11. The Bulgarian Competition Authority KZK stopped investigations against OMV Bulgaria, Rompetrol, Lukoil and Naftex Petrol. The companies were suspected of price fixing. The Aseri Minister of Energy Natik Aliyev thinks that Nabucco West would be better than the rival project TAP. Gerhard Roiss, CEO of the Austrian energy company OMV, warns of a withdrawal of the energy-intensive industry tot he U.S. 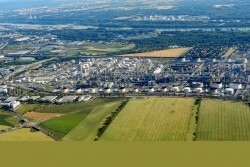 The Austrian oil company could increase its oil production in the second quarter. 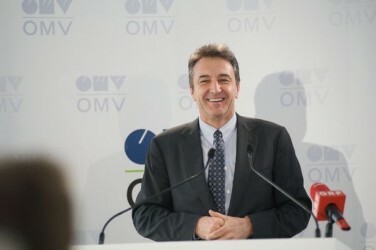 OMV has to register extraordinary expenses of € 170m. The Austrian oil company and petrol station operator will not sell the petrol station business in Germany. By contrast, the downsizing program in the SEE region and in the Czech Republic will be continued. The Austrian oil and gas group may get oil from Yemen soon. In Bulgaria, OMV participates in exploitation works. OMV acquires 15% stake in the Aasta Hansteen field development from ExxonMobil and increases its stake in the Norwegian Sea Gas Infrastructure project by 6.15%. Since the attacks against Libya in 2011, the damage for Austrian companies operating in Libya total € 200m. Major projects had to be postponed. Innovation Minister, Doris Bures, and OMV CEO, Gerhard Roiss, open the BioCRACK pilot plant at the OMV Refinery in Schwechat on July 2. Nikolaus Berlakovich thinks that shale gas is no alternative. Fracking would be „extremely environmentally harmful“. Energochemcia SE officially announced its intention to enter the Prague Stock Exchange (PSE). The company wants to focus on acquisitions of key energy and chemical industry companies. New combined cycle gas turbine plant saves up to two million tons of CO2 annually, the Austrian energy provider Verbund says. 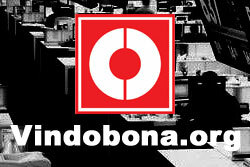 The company expects lower results in the first half of 2012. For the EU Commissioner Günther Oettinger, it is not important which pipeline ships natural gas to Europe. OMV and Wintershall will appraise the sour gas and condensate field in Shuwaihat in the Western Region of Abu Dhabi. OMV´s CEO Gerhard Roiss sees strengthened relations with the United Arab Emirates. OMV divests 5% stake in the Beryl Area producing fields for a consideration of USD 118m and acquires 17.5% stake in Tobermory and Bunnehaven discoveries West of Shetlands, from Statoil (U.K.). The Commission of the European Union emphasizes that Nabucco is still an option. Nevertheless, there would be cheaper options. OMV´s CEO Gerhard Roiss promotes the new „Nabucco West“ project and underlines the high probability of success. 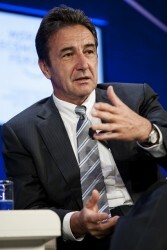 Walter Boltz, CEO of the Austrian energy market regulator, thinks that Europe would benefit from the shale gas exploitation. 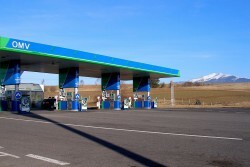 The Austrian oil and gas group OMV intends to sell its petrol station network in Croatia and Bosnia. The Russian Zarubezhneft seems to be interested. The Austrian energy company secured fefinancing of ist existing syndicated revolving credit facility. 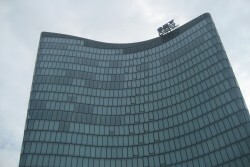 The Austrian energy supplier reports stable revenues and earnings in the first quarter of 2012. Net income soared by 13.6%. Elshad Nassirov, Vice-Chairman oft he Azerbaijani gas company Socar, argues that BP´s statement about Nabucco was premature. 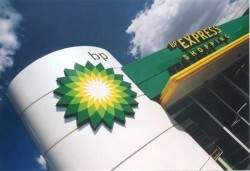 British Petroleum pronounces the initial Nabucco project dead. RWE supports the new version “Nabucco West”.